정보: At least one JAR was scanned for TLDs yet contained no TLDs. Enable debug logging for this logger for a complete list of JARs that were scanned but no TLDs were found in them. Skipping unneeded JARs during scanning can improve startup time and JSP compilation time. 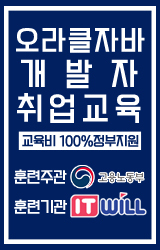 메이븐을 삭제후 target 삭제 pom.xml 삭제를 하면 저런 에러가 발생합니다. 왜그럴까요?